Comes with either a 30ft. 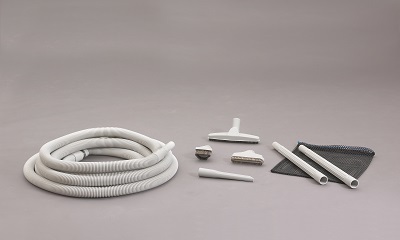 hose or a 35ft. hose, caddy bag, TurboCat Powerhead, and 4 additional tools. 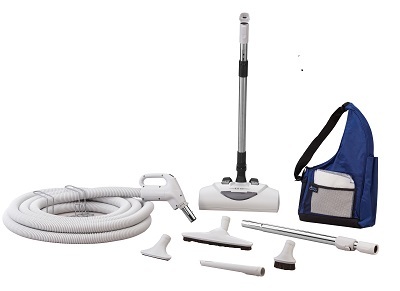 Includes the Edge Electric Powerhead; 30 ft. Electric Hose; Telescopic Chrome Wand; Bare Floor Brush; Crevice Tool; Dusting and Upholstery Tool; Caddy Bag, and Wire Hose Rack. 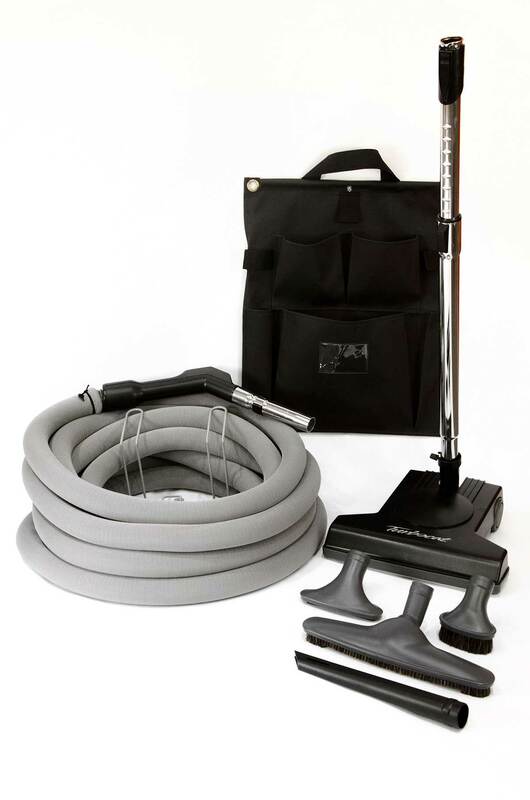 Includes 30ft Ultralite Hose, Dusting and Upholstry Tool, Floor Brush, Crevice Tool, Friction Fit Wands and Mesh Caddy Bag.